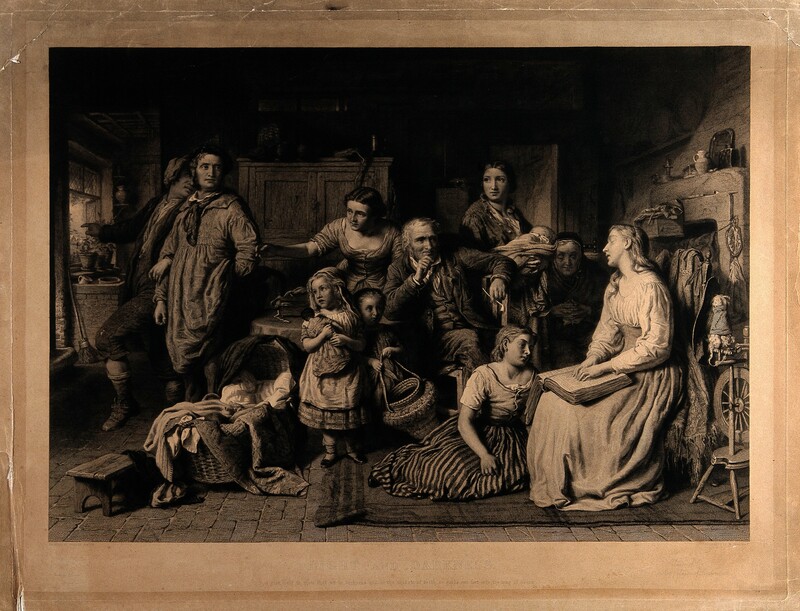 Light and Darkness, an engraving by W. Ridgway after a painting by George Smith (1871). 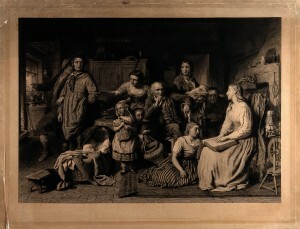 The image shows a blind girl reading the Bible by touch to her family. Wellcome Library, London. Braille, the most common raised finger alphabet in use today, was developed in the 1820-30s, but not used extensively until the end of the nineteenth century. Rather, the rapid spread of ‘tangible typography’ (as the educator Edmund C. Johnson termed it in 1853) across Europe and America was at first marked by fierce debate as to whether it should be based on the Roman alphabet (and still legible to the eye) or should adopt an arbitrary, symbolic system more suited to the perceptual faculties of the finger – like braille. 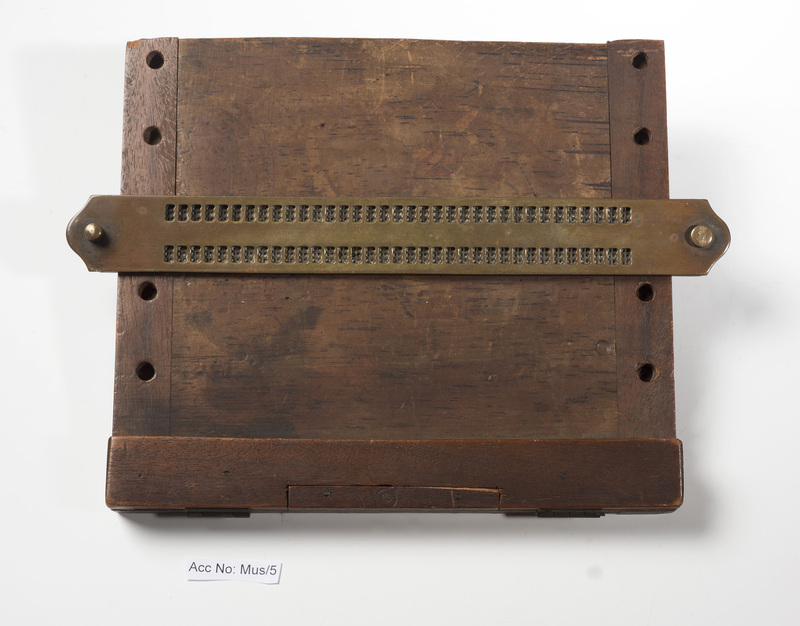 Armitage and his colleagues’ endorsement of braille contributed significantly to its widespread promotion and use in British and European institutions from the 1870s onward. However, whilst its status as the dominant raised print format was rapidly established, not all blind and visually impaired people were braille-literate. In the twentieth century, innovations in sound recording technology made the development of recorded books an alternative possibility. Thomas Rhodes Armitage’s braille writing frame, c. 1880. RNIB collection. James H. Frere, Directions for Teaching the Blind to Read, by the Combination of Elementary Sounds. Pamphlet (c. 1841). George A. Hughes, The New Punctiuncula Stenographic System of Embossing by Which the Blind of All Nations will be Able to Emboss for themselves […] (London, 1843). RNIB Collection. M. de Genoude, Evangelie Selon Saint Matthieu (Paris, 1868). Braille type.